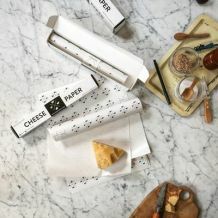 Finally, cheese storage made simple! Our cheese storage materials are designed specifically to keep cheese fresh and delicious. Allows oxygen to flow freely, letting your cheese breathe. Prevents moisture from escaping to create a cave-like environment.